The Stamford Professional Fire Fighters Association is affiliated with the International Association of Fire Fighters as Local #786. Currently Local 786 has 290 active men and women employed as Fire Fighters and Fire Officers by the City of Stamford, Connecticut. In addition to the labor and fraternal services provided to our members, The Stamford Professional Fire Fighter's Association (Local 786) has raised and donated tens of thousands of dollars annually and donated them to numerous local and national charities. 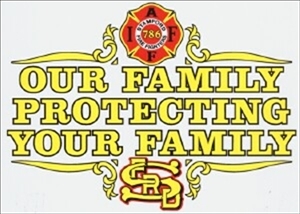 Local 786 has a business office located at Stamford Fire Headquarters, 629 Main Street, Stamford, Connecticut, 06901.